Late last year we (@felander, @santana33, @ecaril and Marcos) started a Blockchain and crypto themed meet-up group @cryptoworldzug with a few other likeminded souls here in the Crypto Valley of Zug in Switzerland. 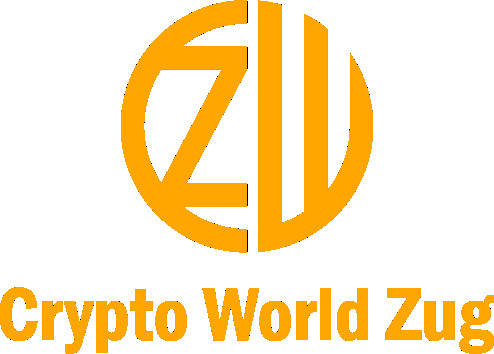 For that we founded the CryptoWorldZug Meetup in January and we grew from 10 members to 310 and counting. Feel free to join us if you feel like it, we are welcoming all new members with open arms. Grand Opening of CWZ New Location @ Alte Börse in Zurich! We have been hosting weekly meetups since the beginning of the year and had a great time doing that. Around March we found out that the location we had been able to use freely would no longer be available. So we had to start looking for another place and landed on the Office lab in Zug. It was the renovated post office that had been turned into a nice modern co-working space. The one catch was… it was no longer free and so we had to start to pay monthly rent. For that we had to set up a non profit association so that we would have a legal entity in case anything happened. Things were getting more serious. We got our heads together and set up our CryptoWorldZug conference that we hosted with a nice educational theme in the Parkhotel in Zug on the 12th and 13th of June. Again lots of voluntary work with some expenses involved. Another step further and another experience richer. Now it is time for the next big steps. Next Wednesday we are starting biweekly Meet-ups in our new location in Zürich that came out of an offer by the amazing guys from MyMultiMiner to share their office space with us. If you are in the Zurich area next week feel free to stop on by. Just sign up and get yourself a free ticket. We are launching a Crypto Trading Course that will last 10 weeks and will be taught by a professional crypto trader. For that we have also launched a membership programme. So anyone willing to become a member and support our activities then please let me know. We also accept Steem and SBD but this is a manual process and has not been updated on the site yet. This will just be put in the @cryptoworldzug account and powered up. Anyone willing to sponsor and appear as such on our website can feel free to either leave a comment or use the comment section on the website.